Clear Lake: Fish with a Tag that Could Win You a $50 Gift Card! Dexter Reservoir: Will be Stocked this Week with 1,500 Large Hatchery Rainbow Trout. Hills Creek Reservoir: Will be Stocked this Week with 4,000 Legal-Size Hatchery Rainbow Trout. Santiam River North Fork-2: Winter Steelhead are Beginning to Move into the River. 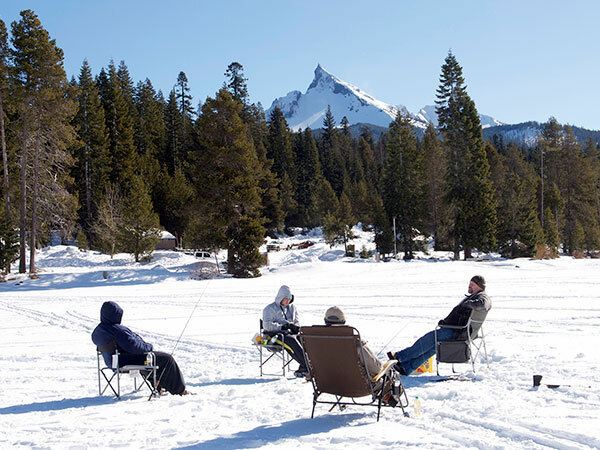 Applegate Reservoir: Fishing Should be Good. Garrison Lake: Hooking Up with Some Feisty Rainbow Trout. Hood River: Expect Some Bright Fish During February.